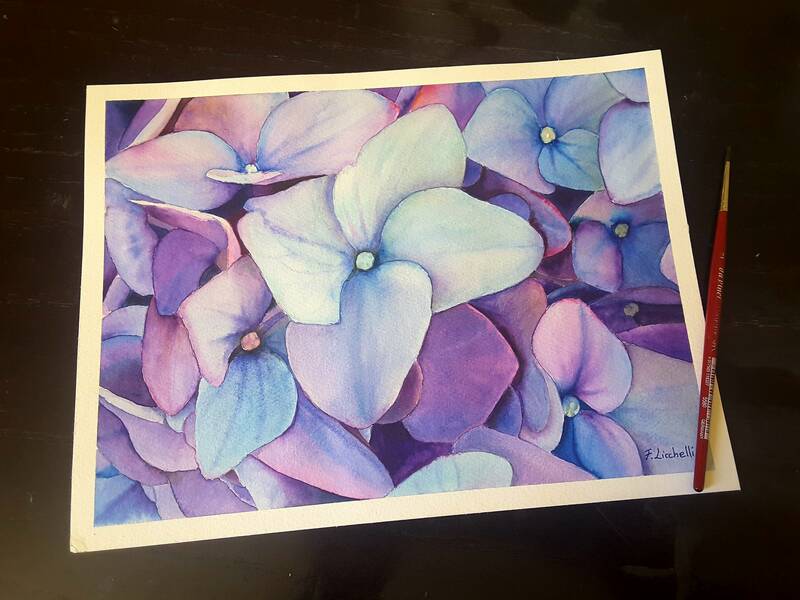 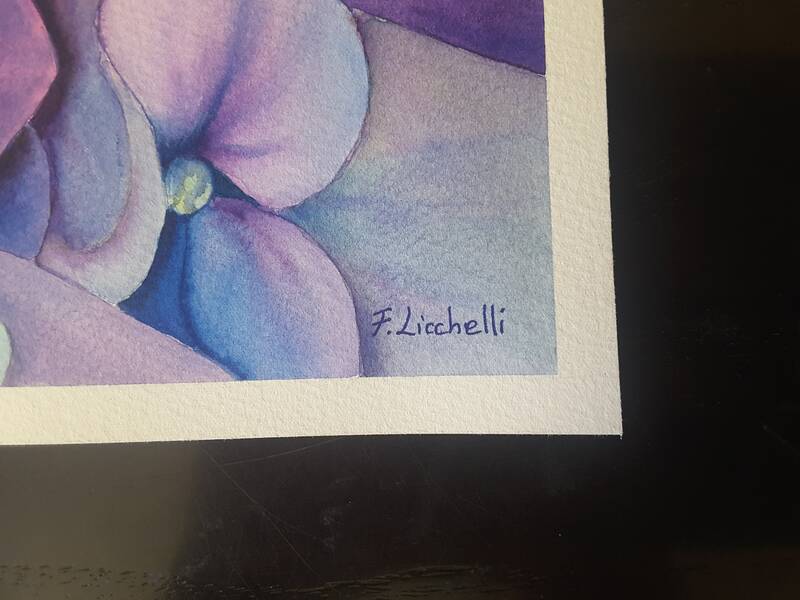 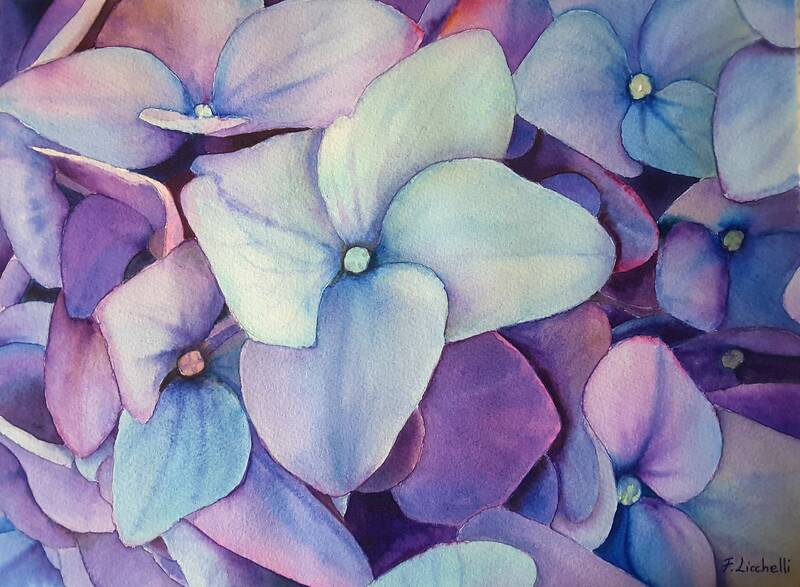 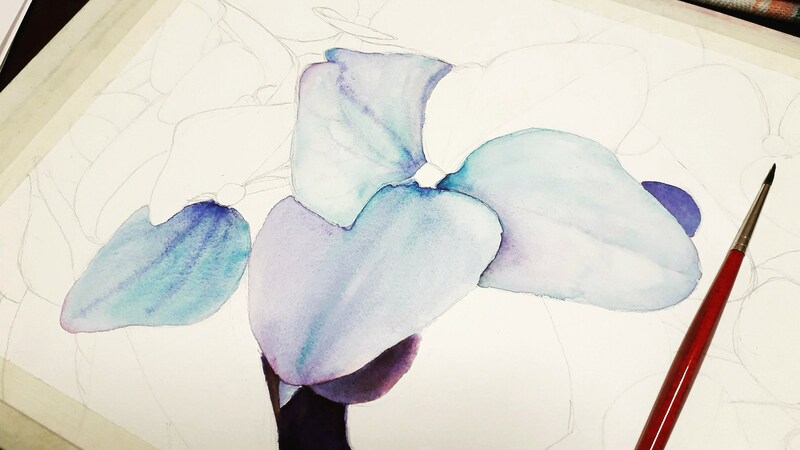 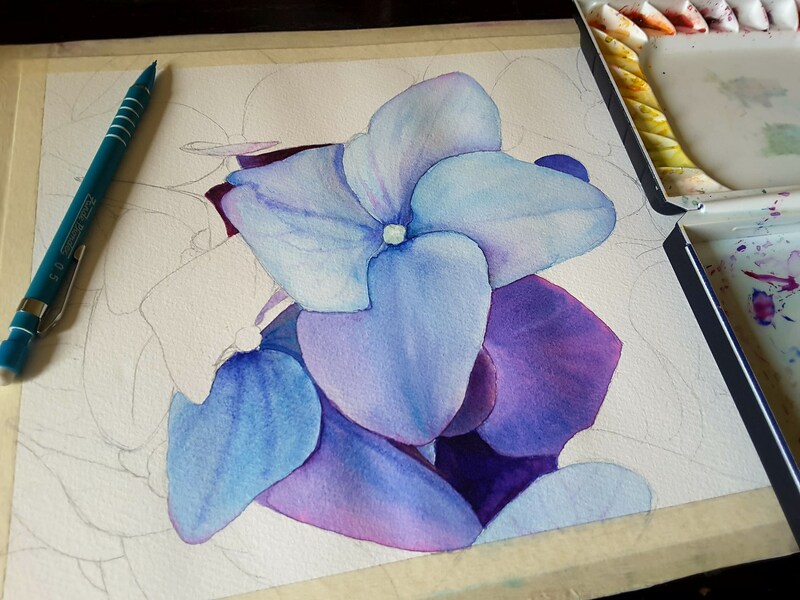 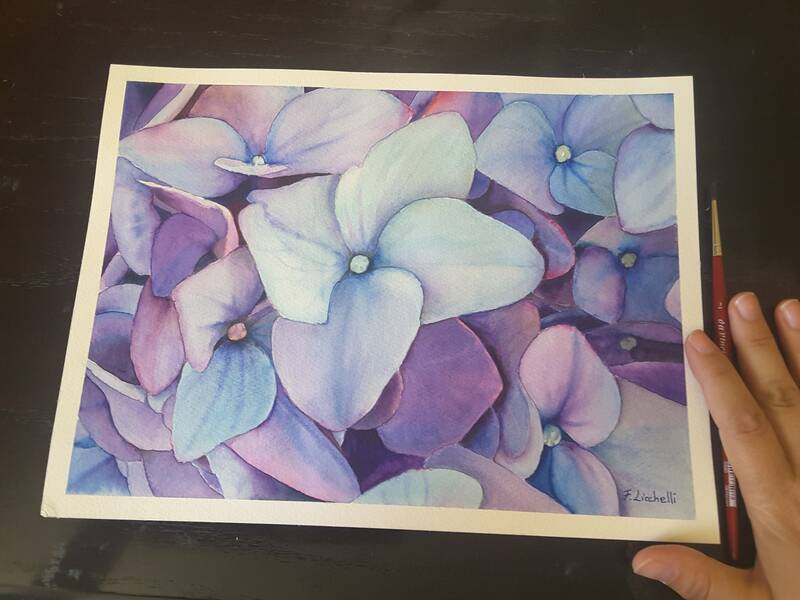 Hydrangea, purple watercolor, original painting by Francesca Licchelli, home office decoration, bedroom, lounge, living room, contemporary. 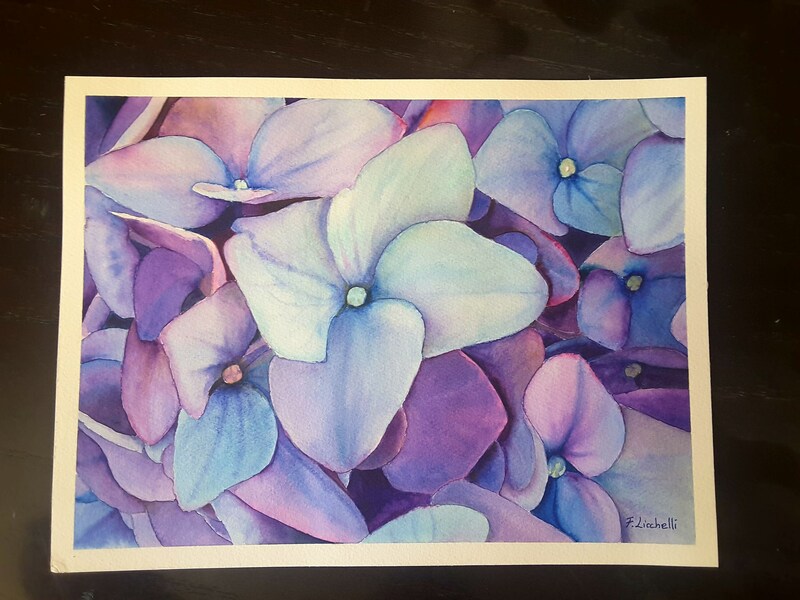 Watercolor, hydrangea, ooak, one of a kind, original drawing. 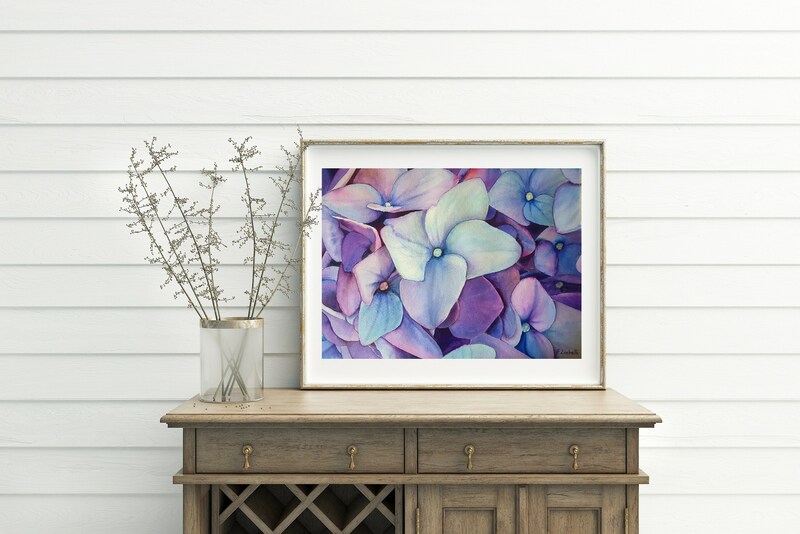 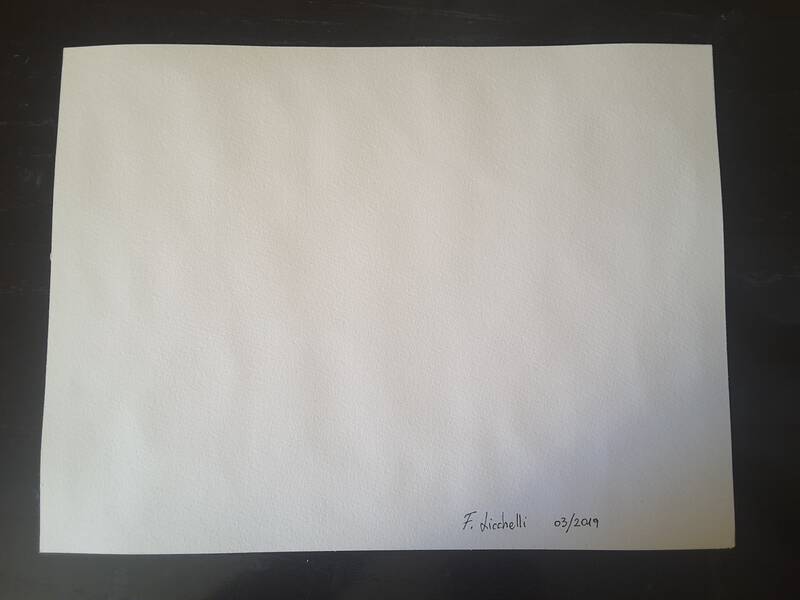 Wall art, bedroom, living room, etc.